Eastwood hasn't been the leader in DIY automotive work since 1978 because we rest on our laurels. Our continuing drive to find or make the best tools, parts, equipment and accessories is a big reason why customers keep coming back. Our new auto products section has all of the most recent items that help enthusiasts do the job right. Some are tools that our R&D has spent months or years perfecting, while others were brought to our attention by customers or car show attendees. But what they share is the quality and ease of use that Eastwood has built its reputation on. 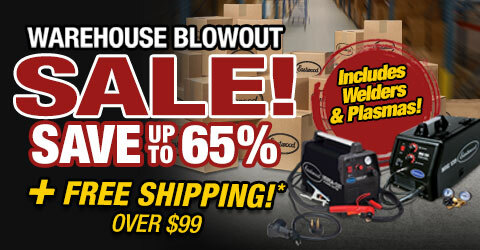 For the hottest tools from the hottest brands, this is the place to shop. 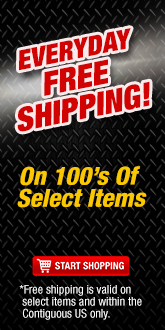 Check out our entire selection on one page or browse by category if you need a specific item. Our Paints & Coatings category is where to find the best HVLP spray gun for automotive paint or new urethane, metallic and enamel finishes. Search for a revolutionary welder in the Welding & Fabrication section or go to the New Autobody page for repair accessories. And you know we'll have the latest and greatest shop tools for building a state-of-the-art facility to build, repair and restore vehicles. Every year, thousands of new customers join the skilled mechanics, racers and DIY devotees who count on Eastwood. They do so because when you shop here, you get the total car care package. Not only do we regularly add new products to our ever-expanding inventory of more than 4,000 items, but we support them with expert knowledge, service and advice. Factor in our legendary 100 percent customer satisfaction guarantee and it's easy to see why The Eastwood Company continues to show the way. Check back often or come to one of our stores to see what else is new!